1. Take the filling out of the cookies. Crush the cookies with the rolling pin. 3. Beat the cream cheese until soft (you can make the cream cheese soft and smooth by placing the bowl over the warm water). add sugar, lemon juice, and gelatin mixture beat to combine. 4. Whip the cream until soft peaks, spoon 1/3 of the cream into the cream cheese mixture fold to combine, then pour the cream cheese mixture into the whipped cream and fold to combine. 5. Pour half of the filling into the pan, place the cookies over, then cover with the rest of the filling. 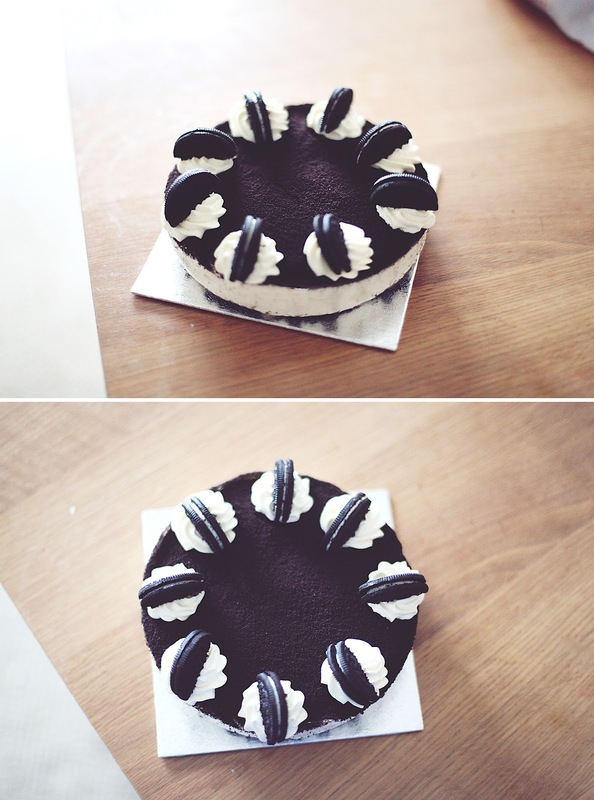 Refrigerate until firm (about 12 hours), take out of the pan and decorate with whipped cream and Oreo.